Gratitude: Let it Grow, Let it Grow! The human trait of Hakarat HaTov, literally “noticing the good” but often translated as gratitude, is a perfect character trait to find within us and to continue to cultivate more of, especially the week of Thanksgiving. In the Passover Haggadah we are reminded of the word Dayenu, “it would have been enough.” This song is based on a Psalm that reminds the Jewish People: If God had only taken us out of slavery it would have been enough. If God only gave us the Torah, that would have been enough. But there was more. We were given the Land of Israel, the Shabbat, the Holy Temple, holidays to celebrate, food to eat, drink to quench our thrust. Any one thing would have been enough of a gift, but in fact we have so much! In developing our gratitude it is helpful to be “grateful for the partial” (click for a video). So often we have a fine day until X, or Y, or Z happens, and then suddenly we forget all the perfectly fine things that happened. Hakarat HaTov, noticing the good, reminds us to accept the good as genuinely good, and not let the negative in our life so easily overshadow the positive. As it turns out, our brains are wired to notice unpleasant threatening stimulus, but we can also notice the good. 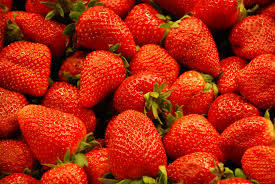 I once heard a story of a Spanish sea captain who would put on his reading glasses every time he ate strawberries. “Why do you do that,” his crew finally asked. A) One time each day, take some time to consider something nice, good, or kind. It might be a loved one, a great song on the radio. It might be chocolate. Spend a few minutes thinking about it. Being “grateful for the partial” means noticing that this person, thing, or activity is somehow part of your life. Where do you feel this gratitude? Maybe a warmth in your chest? Perhaps a smile comes across your face. As it turns out, gratitude has a feeling. B) This week, make a “gratitude list.” Actually write down 10 people, activities, or things that make your life better. Each time you sit to write your list, be sure not to repeat previous items. If it is possible, reach out to another person to share your gratitude – especially if they are involved or responsible for what you are grateful for. Start now!! List 5 things you are grateful. Share your list with others. Invite them to add to the list, and watch it grow.